Frackson’s home is Chilumba, in Karonga District. His father passed away shortly after he began primary school, and he, his mother and three siblings moved in with his grandfather. Following completion of standard 8, Frackson was selected to attend Khwawa Secondary School. In his first few terms he struggled to afford school fees. He spent many hours each day walking long distances to and from school in addition to working as a farmer to support his school fees. Beginning in form 2, his uncle, a tobacco farmer in Mzimba, helped to support his school fees which relieved him of this financial burden for a short time. Frackson excelled in school and was even accepted into a two-week gender and development leadership camp hosted by the Peace Corps. When he reached Form 3 he was elected Deputy Head Boy of his school. One of the honors of this position is the chance to speak at the school’s graduation ceremony. This is where he met Matt Maroon, the guest of honor at that year’s graduation ceremony. Matt was so impressed by Frackson’s speech that he invited him to the Determined to Develop to discuss his future. Frackson was accepted into the D2D’s School Sponsorship Program. 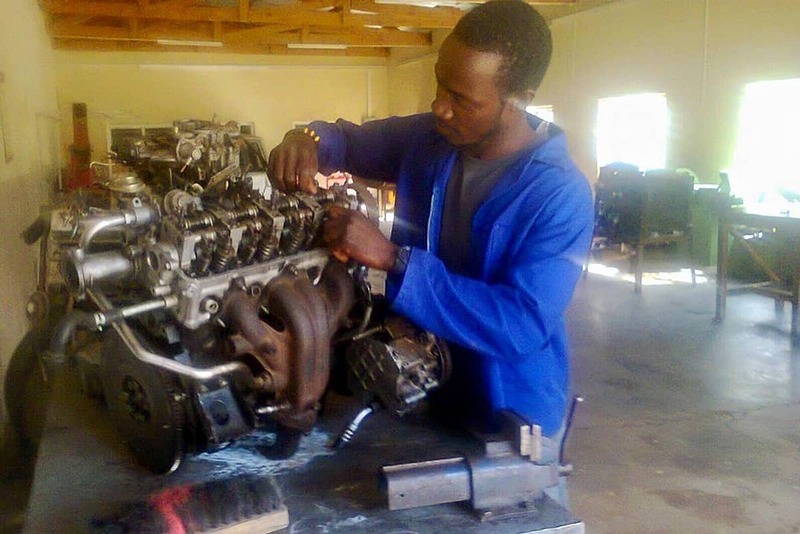 This made his life much simpler, because he no longer had to worry about taking up extra work to pay for school fees and could spend his time fully focused on his education. On holidays he came to Maji Zuwa to help with construction projects, meet new friends, and read the many books available there. 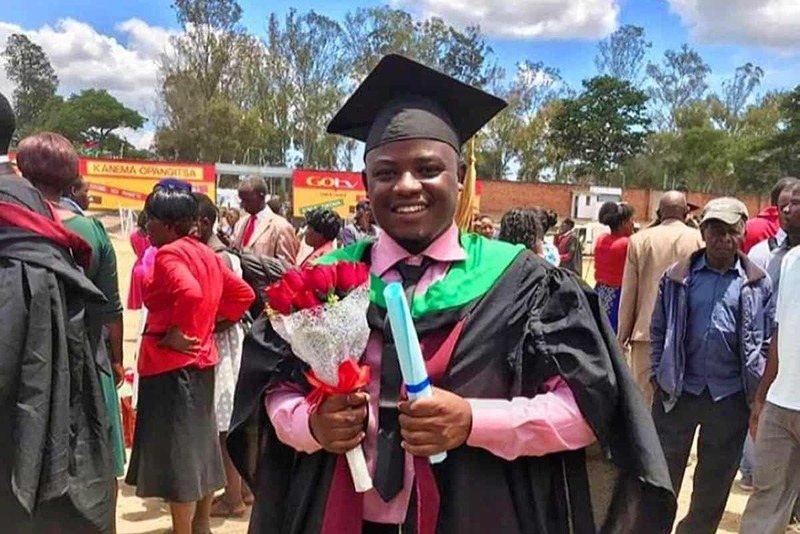 He received very good secondary school exams scores and was accepted to the University of Livingstonia, where, with D2D’s support, he studied Social Science. 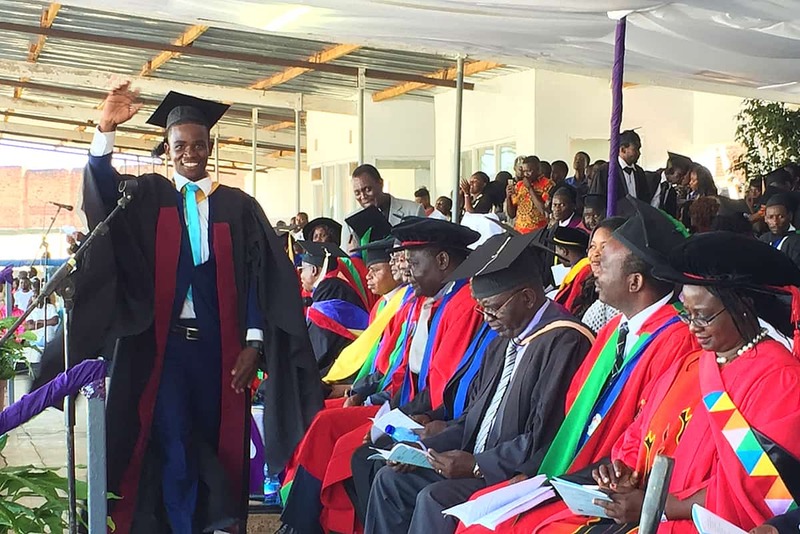 He graduated October 7, 2017 with a major in Human Rights and a minor in Development Studies. Following graduation, he joined the Determined to Develop staff as the Special Project Manager. In this position he was responsible for overseeing development projects in the areas of gender empowerment, education, health, and environment. In the future he hopes to promote gender equality and youth empowerment through a career in advocacy work. If you would like to sponsor a student like Frackson through Determined to Develop, please click HERE.